B Side Mikey Show / Motorhead – Radio for the People, by the People. 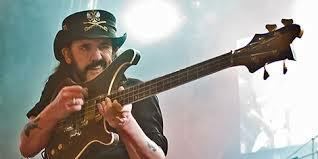 Motorhead / Lemmy Kilmister night on the B Side Mikey Show in Studio 1A from 8-10pm (PST)! Time for a legend in the music scene to be recognized & featured on the show with short discussions of his success & classic tracks to be heard. I’ll be joined by Bart Man & Sweet Kayla with the phone lines wide open at 415-829-2980 so join us. I thank all the fans around the world who comment & support the show every week through Facebook as you folks continue to LIKE the show page. Type in B Side Mikey Show to like the show & communicate your thoughts, request, etc. >>>> \m/ to all!!!! !